The works of William Shakespeare have been reinterpreted, modernized, even sequel-ized enough times to be common place. And that's fine; Shakespeare should be adapted and expanded upon like anything else. But if you're going to do it, have something new to bring to the table, otherwise don't bother. 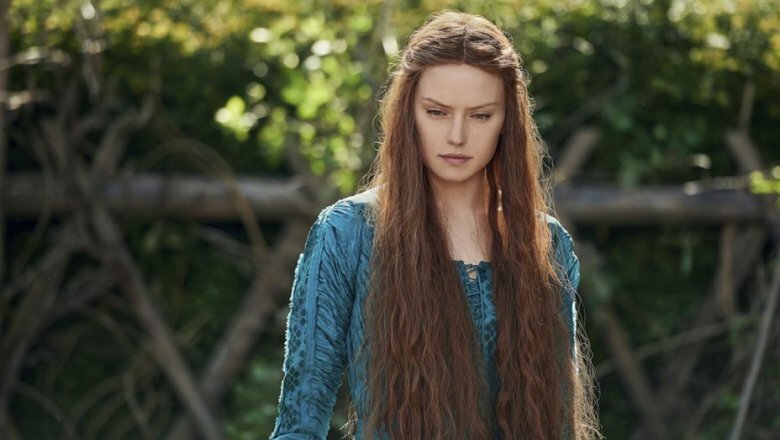 It's a lesson director Claire McCarthy would have been wise to learn before her adaptation of Ophelia, which stars Daisy Ridley as the oft-misunderstood potential lover of Hamlet. Similar to Disney's Maleficent, the film seeks to tell the Hamlet story from the perspective of Ophelia, which is an idea definitely worth exploring in theory. Ophelia is one of the most discussed characters in literary history, tragic heroine or feminist icon? The movie doesn't do much to clear up the debate, choosing instead to load up the film with one bad subplot after another that has little to do with increasing our understanding of who Ophelia is. After a howlingly bad intro with Ridley's flat narration over Ophelia's final scene in Hamlet, we're then whisked away because we don't know her true story. A young, "willful" Ophelia has no station in this land of kings and queens, but she's rambunctious enough to catch the eye of Queen Gertrude (Naomi Watts), who perhaps sees some of herself in the girl. Ophelia rises up as a lady-in-waiting, one that draws scorn from the other ladies, but earns the attraction of a surprisingly passionate Hamlet (George MacKay). There's also Hamlet's uncle Claudius (Clive Owen with fantastically fake hair) stirring up palace intrigue, and Getrude's exiled twin sister Mechtild, who happens to be a witch. Never heard of Mechtild, eh? She's a new character created in the novel by Lisa Klein, and her presence is just one of the odd additions that muddle why Ophelia needs her own story to begin with. A better idea might have been to do what so many have done, which is just use Shakespeare as the framework for a totally different story. The screenplay by Semi Chellas struggles to breathe within the confines of the Hamlet story, and once it gets going Ophelia still feels like an observer to events going on around her. And when things happen that she was not directly involved in, entire events are simply made up, creating almost an entirely new work of fiction. So why not just do that? And yet, when it boils down to the finale, Shakespeare's classic poison plot from Romeo & Juliet is cribbed from pretty shamelessly. I couldn't wrap my brain around the production values, which are lush and green, but also stagey and cheap looking. It's like they wanted it to both look like a stageplay but also natural, and couldn't decide which way to go. Indecision is a killer for this film in general. Ridley gives Ophelia all of the strong qualities she gave to Rey in the Star Wars movies. She's brave, curious, and eager for a mentor, a role Gertrude is only too happy to fill unlike that tool Luke Skywalker. But that's really the problem in a nutshell. Ophelia and Rey are not the same, they shouldn't be remotely alike. Rather than Hamlet seen from a different perspective, it's as if someone just didn't like the Ophelia character and changed everything about her . Ophelia is both hopelessly beholden to Shakespeare and yet unwilling to completely break free from it. Who exactly is this movie for?